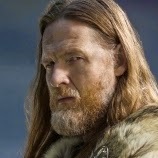 When we first meet King Horik it is halfway through season 1 in Upsalla. King Horik is at that time King of Denmark. He is not the first one who will betray Earl Ragnar. He is seeking an alliance with Ragnar first when he is in continuous war with Jarl Borg. He will betray Ragnar after a while because of power he sees Ragnar is influential and want something different than he does. He start to alliance with Jarl Borg because the only thing he wants to see is Ragnar dead. When Ragnar Blood Eagled Jarl Borg King Horik disguise him for his action and start to take over control with Siggy she is also seeking for revenge and want to regain power that is why she betray Rollo with King Horik. When Siggy finds out Floki doesn't like the way Ragnar is behaving she will get him more close to King Horik. Due to this alliance King Horik thinks he is safe in Kattegat. After a while he set up a plan with both Floki and Siggy to kill the children of Ragnar. He himself will kill Ragnar. He got killed by Ragnar. King Horik in the real history was a Danish King first as co ruler. He is the one who actually lived in the time Ragnar raid on Paris. He disapproved it. Donal is one of the cast members of the following TV series. Copper, Sons of Anarchy, Law and order, Vikings and is filing Gotham at the moment who will premiere in a week’s time. Is already 24 years in the TV and film business. Is born in Canada. What is the (ex) Viking cast doing now?